Good morning friends~ Birgit here today. Now that Valentine's Day is behind us, I'm even more eager for spring to arrive! Since I know we're not even close here in Maine, I opted for another spring like card using a vintage image that was cut using Memory Box Open Studio Stitched Rectangle Layers. 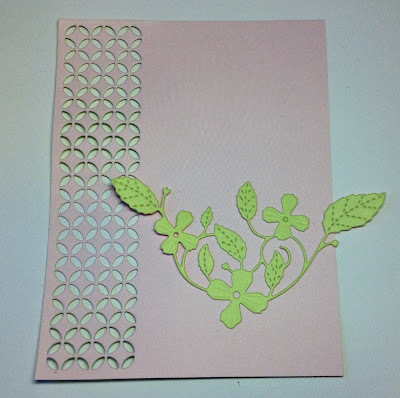 I started by cutting the Memory Box Piestra Tile out of soft pink card stock and the Poppy Stamps Hampstead Corner out of soft green card stock and mounted them to an A2 sized white card base. Next I cut the Elizabeth Craft Designs Asters out of white card stock and colored them using Copics. 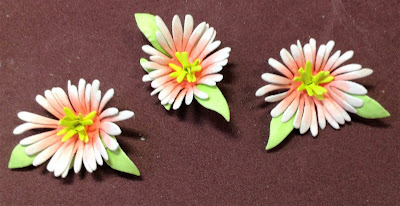 I then molded them and glued them together using Glossy Accents. I just love how they look when they're all put together. So pretty! 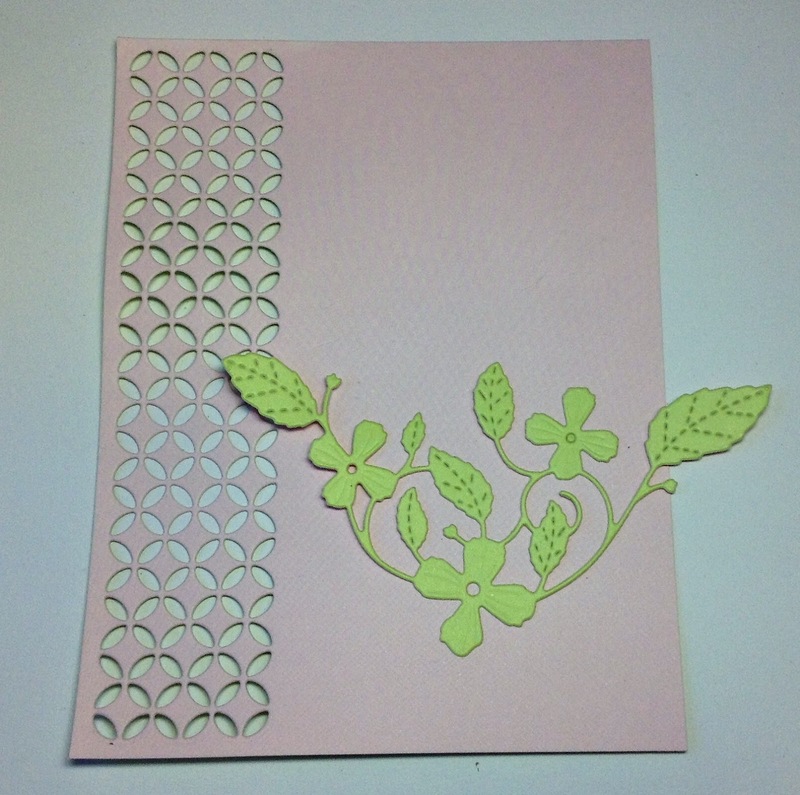 Next, cut the Impression Obsession Love Die out of white card stock that has adhesive sheet adhered to the top of it. 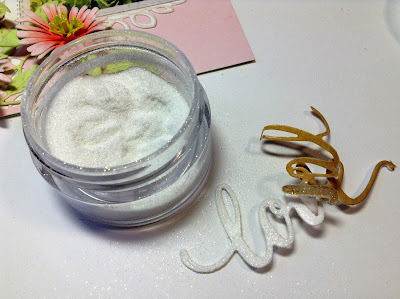 Run it through the die cutting machine and gently peel off the release sheet and add ECD Warm Diamond Silk Microfine Glitter to the top of the die cut word and polish it to give it a good shine. 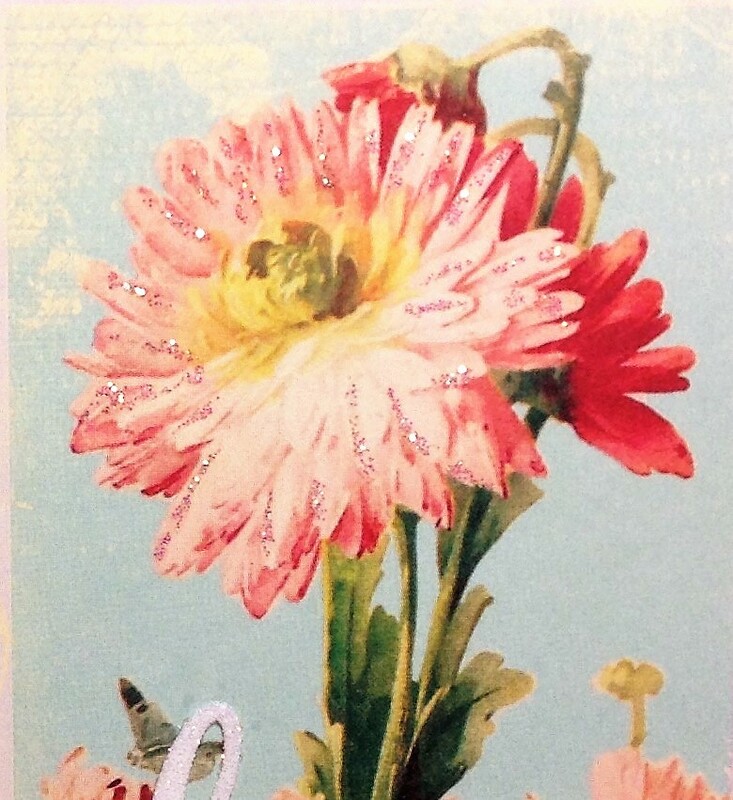 I assembled the card and added some Yellow Stickles to the centers of the asters and then added some Crystal Stickles to the petals of the asters on the image. 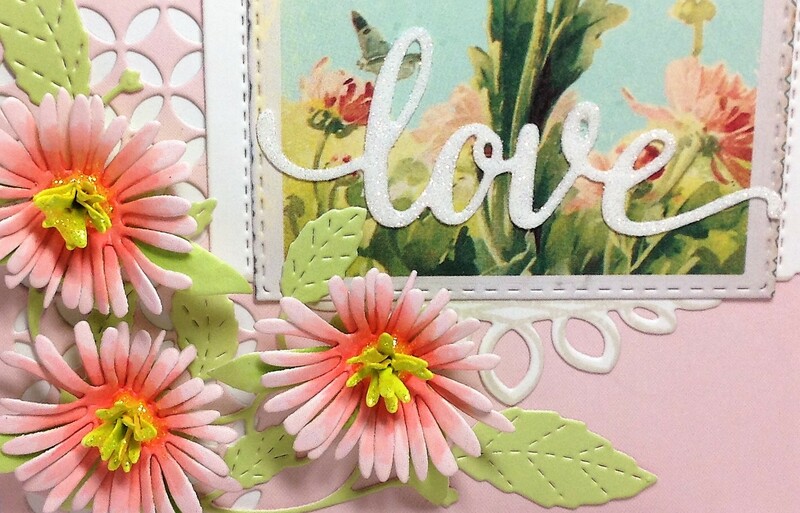 A lovely spring card to brighten someone's day! I hope you're inspired by today's card. Wow this is so pretty, I am also ready to get back into the garden. Great use of dies and those asters are amazing. BEAUTIFUL! Love that gorgeous image and your fabulous flowers! Adding the sparkle is always a perfect touch! Fantastic! Lovely layering and those asters look so much like the one in the image. Such a pretty card! Just GORGEOUS Birgit! 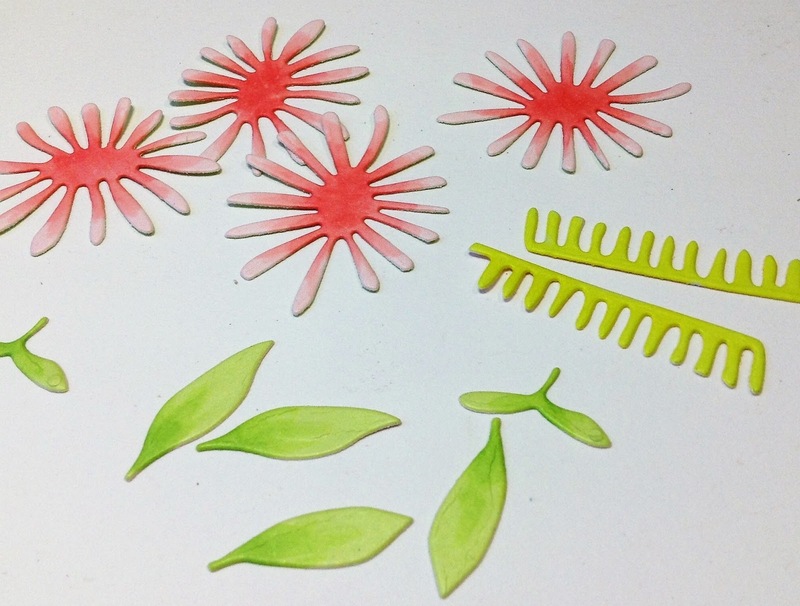 Your handmade asters mimic those in the image perfectly! AWESOME job! 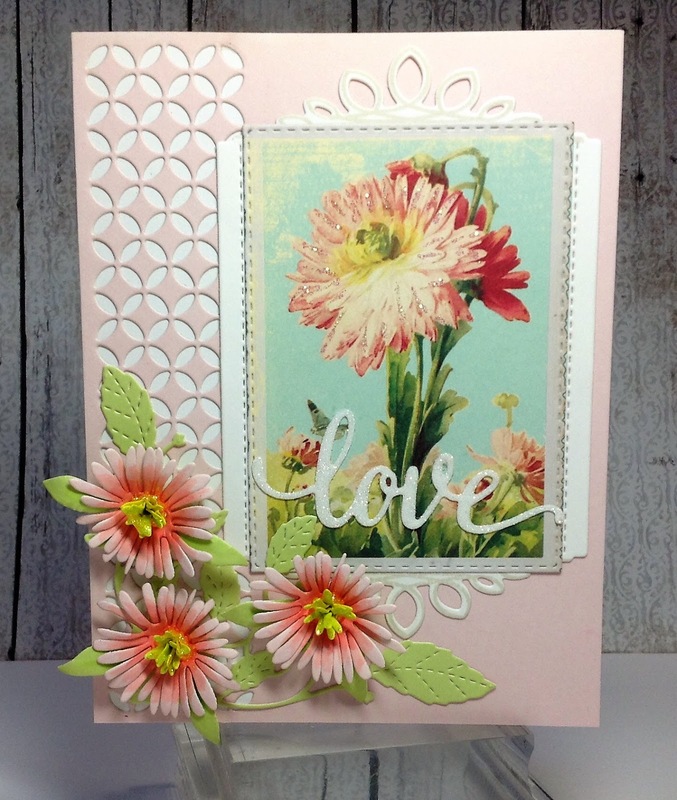 Such a happy, springtime creation ... thanks for wonderful inspiration using dies! Beautiful! 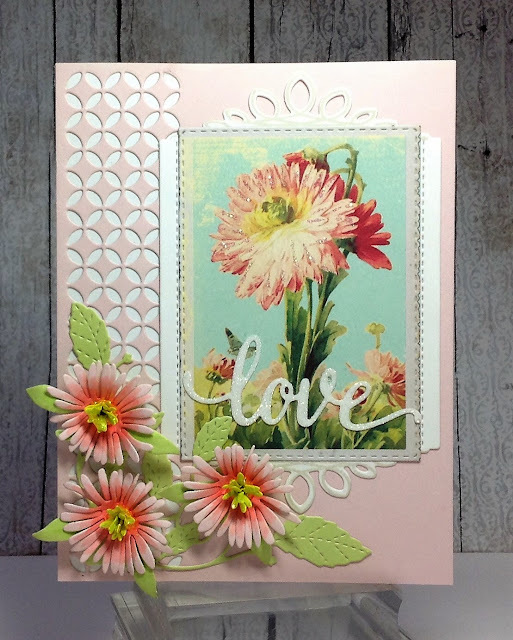 Absolutely Beautiful, I love how you matched your die cut flowers to the flowers in the image, lovely border die too!! Gorgeous card Brigit. Your asters look just like the pictured one. Love all the details. great job! absolutely gorgeous flowers! and the way the match the pic! you are amazing!